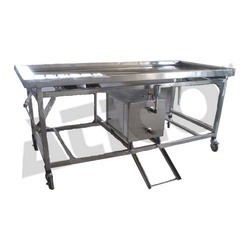 We have marked a distinct and dynamic position in the market by providing a high-quality array of Laboratory Workstation. Pathological sampling bench is widely used in hospital pathology department, pathology laboratory, etc. Reasonable ventilation system protects operator away from the harmful gas produced by the formalin during sampling. The hot & cold water system ensures it can adapt work in different climates. 1.6 Thk GI Work Top, Size-4" x 3" x 3", Place for Keyboard, 1 Drawer and 2 Shutter unit, Cover all side with Panels, GI Foot rest. 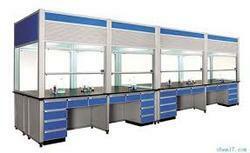 Backed with group of extremely dexterous experts, we are presenting a broad range of Laboratory Work Station. This product is made by professionals employing the optimum quality material and sophisticated techniques. We take pleasure in introducing ourselves as leading firm by offering Dental Laboratory Workstation.